$20 for GBC students, $30 for guests of GBC students (1 per student). Tickets available on campus only. Sign language will be provided by Deaﬁnitely Dope. Due to circumstances beyond our control, the Student Association’s GBC Fest on Sept. 13, 2018 is being rescheduled for later in the year. 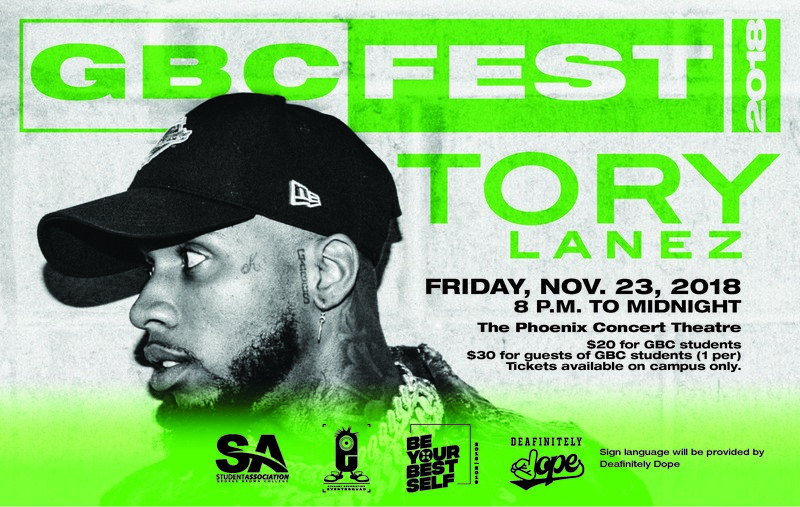 Students who purchased tickets to GBC Fest will get full refunds through Showpass within four to six business days depending on what bank they use. An email confirmation that the ticket has been refunded will also be sent to students who bought tickets. We look forward to presenting you with a first-rate student concert and felt that the best way to do that was to reschedule GBC Fest. 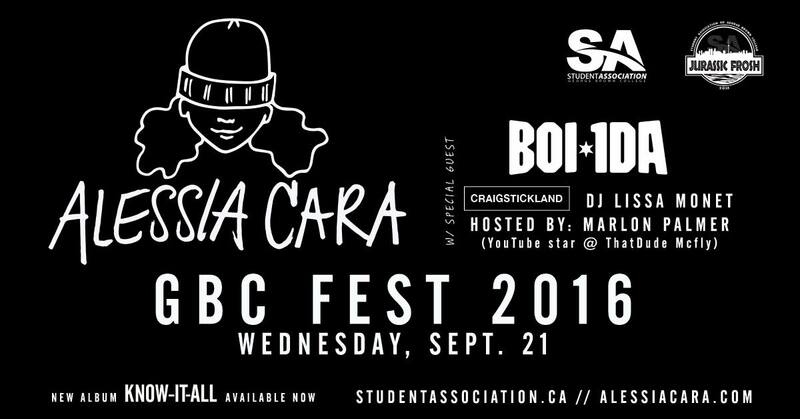 The big back-to-school concert featuring Alessia Cara and DJ Boi-1da plus more! Free for all GBC students. Step 2: You must come to any SA office to pick up your physical ticket.